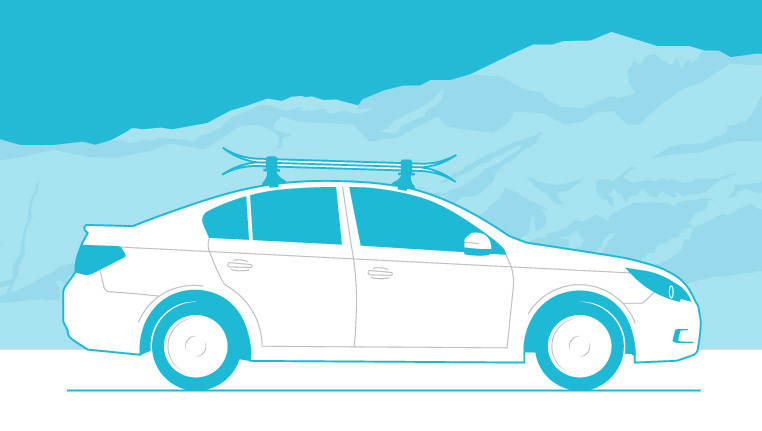 This past weekend Uber launched its first ski- and snowboard-specific taxi service. In conjunction with Backcountry.com, Uber launched uberSki. It will allow skiers to catch a ride to any resort on the Wasatch front, including hills around Ogden, Park City, and the Cottonwood Canyons. This includes Powder Mountain, Snowbird, Alta, Park City, Deer Valley, Solitude, and Brighton resorts. You ride in all-wheel-drive vehicles equipped with ski racks. The new service is based on the wildly popular Uber taxi service in which those in need of a lift book, pay for, and rate rides through a phone app. The biggest difference is the AWD vehicles capable of carrying all the gear for a day on the slopes. Uber launched the service this past Saturday. It costs $4 more than the normal Uber base fares. How will this change the travel experience? Theoretically, you can hop off an airplane in SLC, grab your uberSki via the app, and then ride in style to the mountain without ever having to interact with another human save for a nod to the driver. Or, you could always hop on the Utah Transit Authority bus to the hill, which is free to pass-holders and costs only $4.50 for a one-way fare, or $6.25 for a day pass.